Bob Morley taught arts and music for much of his teaching career - now cheerfully retired - whilst developing his personal watercolour technique over the past twenty five years. His paintings have been shown in private and annual public exhibitions and his work currently features in collections in the UK, USA and France. 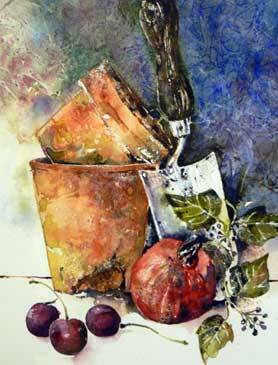 He paints landscapes and still life predominantly in watercolour and continues to experiment in tone, texture and body colour aiming to capture that special something.